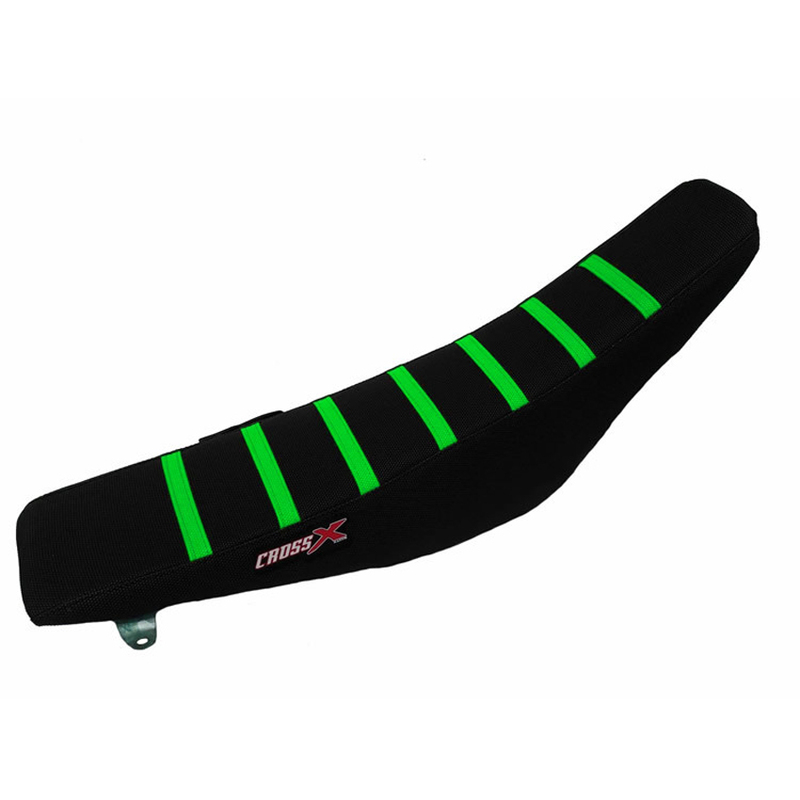 Dural grip material that has integrated embossed top seat ribs on the seat that keep your positined where you need. Hot melt tape at seams prevents water leaking on seat foam. CrossX logo on the side.